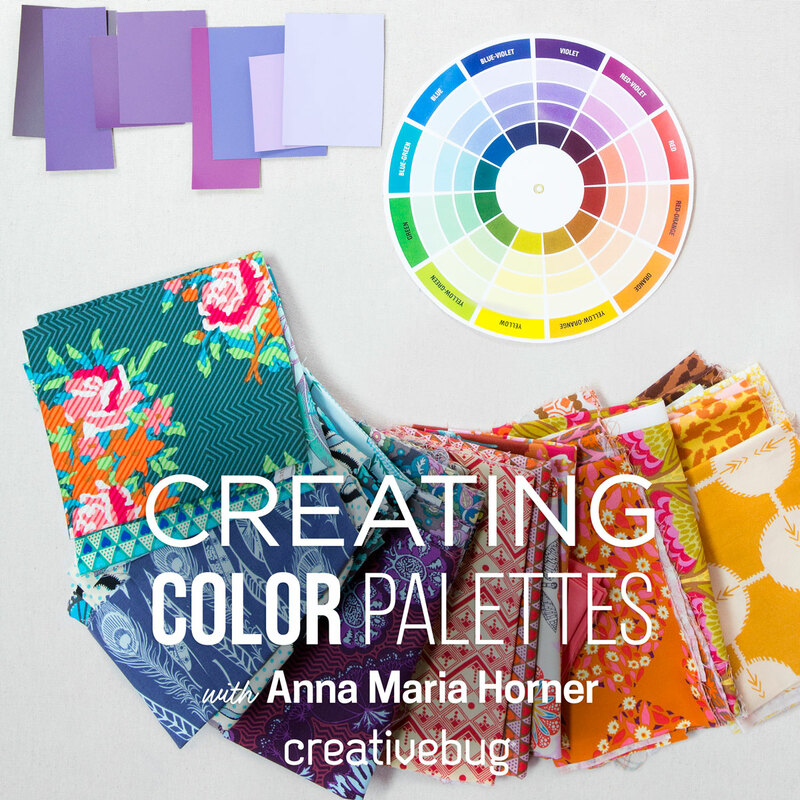 Anna Maria Horner: Whats gray & cream & pumpkin all over? Whats gray & cream & pumpkin all over? The newest instalment of my Quilt Market furniture is in progress! I'm sure you remember the fancy chairs from Spring Market, which I hope are still being enjoyed by their owner (hi, Rhiannon). It was so fun to connect with a fabric lover to achieve those chairs that I've decided to make it a market tradition. This fall, however, as Houston is our market-hosting city, and with all that city and that part of the country has been through....it felt only a little odd to blog a title such as "Hey Houston I know you don't have power or anything but who wants to upholster a couch for me?" Yea, see, not so good or thoughtful, really. BUT, it never feels wrong to bother a friend or a family member, so in that annoying spirit I called on my friend Caroline, a Houston native and the proprietor of JCarolineCreative.com. And might I say she rocks upholstery, and she does it herself!! Anyway, she scored this lovely traditional sofa (digital mock-up above) for 15 smackers at a garage sale, and had yet to decide what to do with it. I decided that for her and she was totally game. What a girl. I went to my fav local fabric shop to find a posh piping fabric, knowing I wanted something pumpkin-ish, and was pointed to this fine wale corduroy, which I think is perfect. I love how light hits fine corduroys and matte velvets making them milky from one angle and deep and rich from the other. I think it will catch the light beautifully as edge piping for the sofa and give it a warm, cozy detail. Oh, and I did offer to cut the bias strips before I sent them, as I know most people hate doing that. Enjoying bias strip cutting is strange fact #241 about me. One market couch, check. One husband on board for booth modifications (while I stand and stare), check. Lots and lots going on, and can't wait to share a few things that I've had up my sleeve for a while now. What a great looking sofa that will be! And ever since I learned how to cut bias, I don't mind it one little bit. 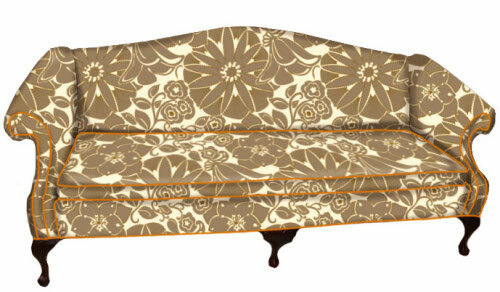 love the sofa...pairing pumpkin with your fabric like that is, of course, brilliant. love it, love it! 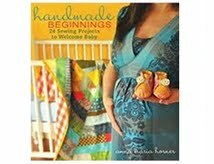 have fun prepping for quilt market...can't wait to hear all about it and read about your adventures there!!! Love the couch! Can't wait to see it at Quilt Market - Yes! I'll be there too! I have two fabric collections debuting with Studio E and I'll be in their booth for a couple hours on Saturday. I'll look forward to seeing you! It's been a while! EW That couch! I just want to sit on it and look! It is gorgeous! No, I mean it! Can't wait to see what else you have up your sleeve! What a super combination. Have fun and Good Luck at Market! 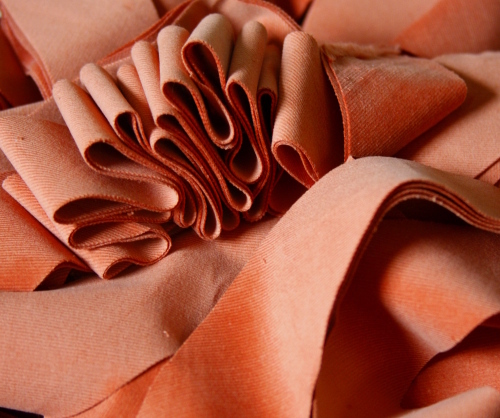 1) I LOVE cutting bias strips--so uniform! so soothing! so monotonous that I can turn off my brain and daydream for a bit! 2) I LOVE Caroline! Such great customer service! Such a fine sense of diction when emailing! What a great selection! I'm smelling pumpkin pie with whipping cream, sprinkled with cinnamon! I love this creation in the works. I was just going through my fabrics yesterday, and stumbled across the same corduroy you are using, here...it's so velvety! PS...i waved at you this past weekend, as I flew over Tennessee, on my way to South Carolina! Ooooh! Love it. I'm growing ever-fond of orange hues. It's daughter #3's favorite color! And I can't wait to see the end result. Aaah, Quilt Market, just what Houston needs, a burst of new ideas and fresh, fun color! Enjoy! I still am loving my chairs!! They make me so happy and the cat enjoys getting her hair all over them. I'm actually LOVING that fabric for my little fainting couch - I was going to have it recovered, but I had no idea what fabric to use. I think we have a winner! That is going to be a BEAUTIFUL couch! I can't wait to see the real deal posted here. ooooooh - LOVE the couch! $15 bucks! How exciting! I *so* wish I could get to Houston!! I am picturing you at QM with a Starbucks Pumpkin Spice Latte (not spilling on Caroline's couch) doing your next round of interviews! that couch is the bomb! Are you talking about the market in Houston Nov 12-16? I am going to be there helping my cousin with her stationery business. 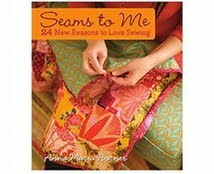 It would be so exciting to finally get to see some of your fabrics up close! Oh I can't wait to see it in person! It looks delicious! My mom and her girlfriends would disappear each October for a weekend at the houston quilt market. Now I know why! To see beautiful displays such as yours will be. Oh, how I'd love a girls' weekend there. But, alas, not in my budget or schedule. Enjoy for me and know I'll be coveting the goods. That is going to be FABULOUS! Yay! So exciting! I'm going to be there! Did I say so exciting yet? 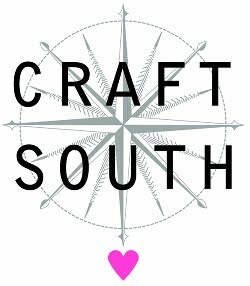 Can't wait to see all of your fab creations up close and personal!! I have a deep and personal love for rescuing old furniture. Can't wait to see the finished project. I wish you the best for the rest of your preparations! Nice combination, Anna-Maria, Autumn and all but still nice in the spring with some green accents. And I like the style of thesofa, very good with your fabric style. Your life is so exciting! Hope you have a really great time!!! What an awesome sofa! Can't wait to see these things that have been up your sleeve! Oh, this is going to be really gorgeous. I have a deep love for corduroy and orange, so this is perfect. And, by the way, you are not alone in your bias-strip-cutting enjoyment. It's like coloring outside the lines. love it! very very cute! love the gray and orange. i just love your bold style! Exciting!! But I can't believe it's coming up again already! Sometimes I feel like we are on a very fast merry go round! I do love your fabric on that couch... so chic. 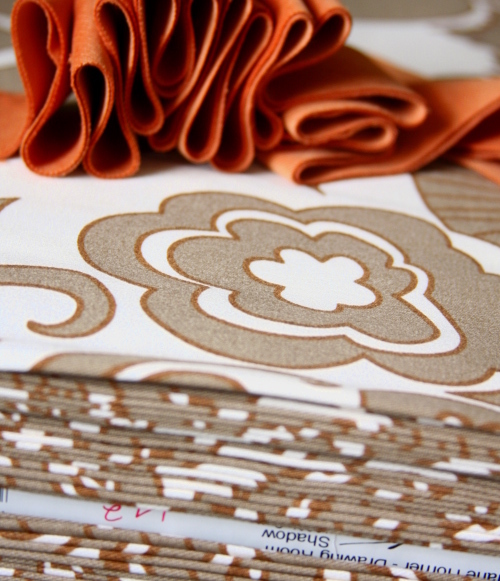 Gorgeous fabric for that couch and your choice of piping fabric is perfect. I want one just like it! I'm waffling on whether to go to the market or not. Seems a good opportunity, but the time away from home... ! I'm going to miss not being able to sit on that couch at Market! Loved sitting in the famous chairs from Spring Market! I'll be anxiously awaiting photos though! Oh wow!!! Love it!! I am one of those people who lost their home in the recent hurricane. I was planning on coming to market and hope I can still make it there. I for sure need to get away and treat myself to some eye candy!! I just love the beautiful sofa. Stunning. I recall the beautiful spring booth and the lovely chair with your fabric. What a great idea? What a nice combination of colors!!! That sofa is awesome, and for $15? What a steal!!!! That couch is just too perfect! I love the color combo. Le tissu du canapé est de toute beauté! If the Market ever comes to Cleveland, I'm happy to supply a piece of furniture. That couch is gorgeous!